At first glance ROC strucked me as a communist themed Restaurant Of China (ROC) from the way to visualize the establishment's logo from outside, a foodie paranoia maybe. We came from an afternoon jog from the killer university oval and time to revive the shrinking tummy of ours and headed to Bahay ng Alumni. So much memories from Bahay ng Alumni, we used to burn brows surfing the net on the second floor (now that same spot housed the Alumni office), watching concerts, tambayan before going to Film Center and food spotting at the famous Chocolate Kiss "noong araw" when payday strikes we run towards CK. So much idle time back in the days when food blogging is not around and Internet fees sky rocketed every minute. And since Chocolate Kiss is located inside the building (we were looking for CK ala fresco but it wasn't there) with our pangs ready to bite we headed to ROC. Foodamn Philippines find ROC a taste of fusion dishes. They served Filipino food, American, Italian and Mexican. I've gone wild seeing they have panizza at the best price! Margherita Panizza or rolled pizza (PhP228) is a house specialty, a vegetarian pizza with tomatoes, mozzarella and basil chiffonade. Big enough for two to three persons, served with chopped lettuce and a choice of creamy ranch or pesto dip. 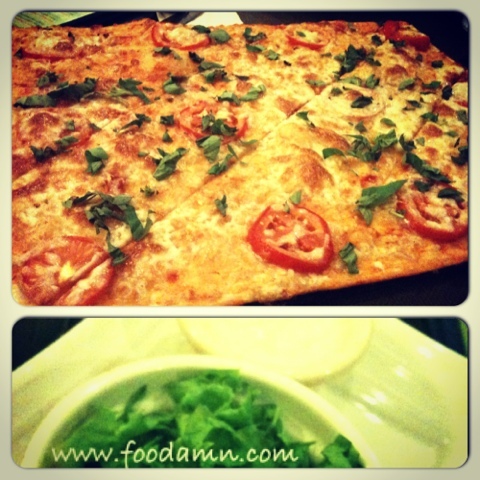 This panizza was served with the right crispyness, yummy and affordable. 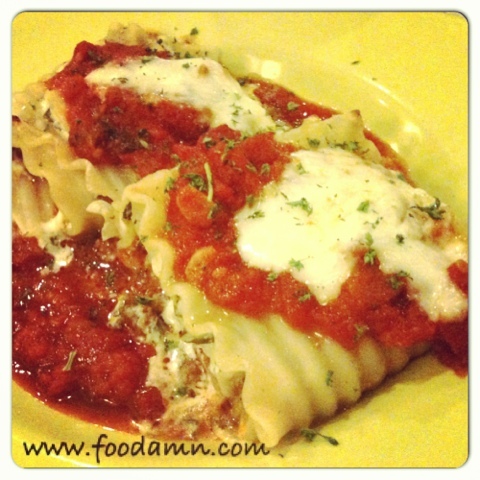 Spinach lasagna rolls (PhP190) also the house favorites, roll is filled with spinach, ground beef and spices. Cheesy healthy pasta kids would love. For the rice meal we've tried Garlic Chicken (PhP190) another house best seller, made up of thigh fillets pan fried and topped with ROC's garlic sauce. 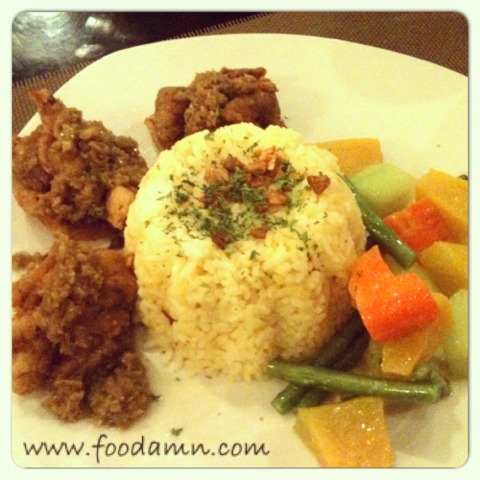 The dish is served with garlic rice and chef's seasoned veggie. Quiet heavy for a single person but the garlicky flavor and special sauce makes the dish stand out. 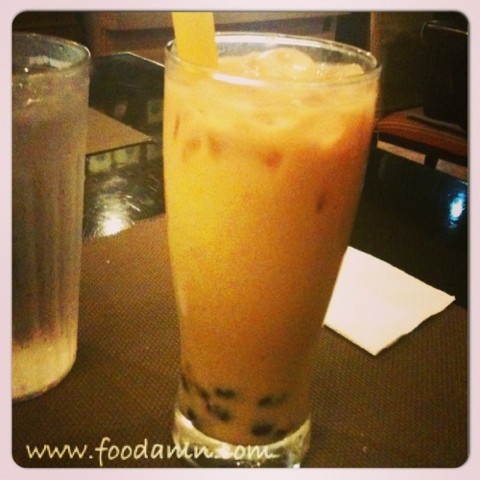 For the beverages, we've tried ROCha (less than PhP100) - ROC's milk tea with black pearl and ice teas. 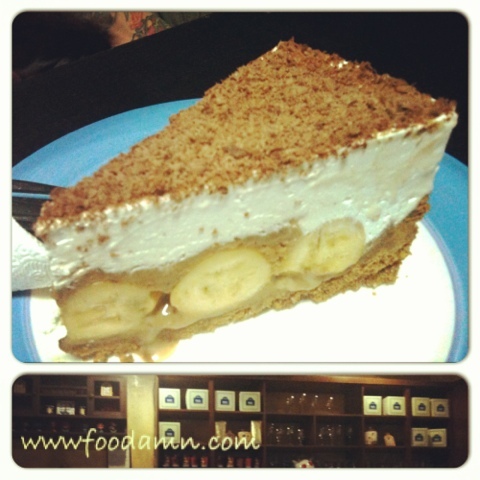 For desserts we ordered banana cheesecake and brewed coffee. Overall, the meal was fantastic and cost reasonably. Ambiance exudes feel-good, less crowd at that time. Perfect for family dining and private meetings. The place has Wi-Fi connection though not that reliable. The quality of service is average and most of all it's great to be back at Bahay ng Alumni. Disclosure: This article is being published based on our own dining experience. No business relationship involved with any company or organization promoting this event.